IDS at KIMST Conference 2016 | IDS Ingegneria Dei Sistemi S.p.A.
21st – 22nd November 2016, Daejeon, Republic of Korea. 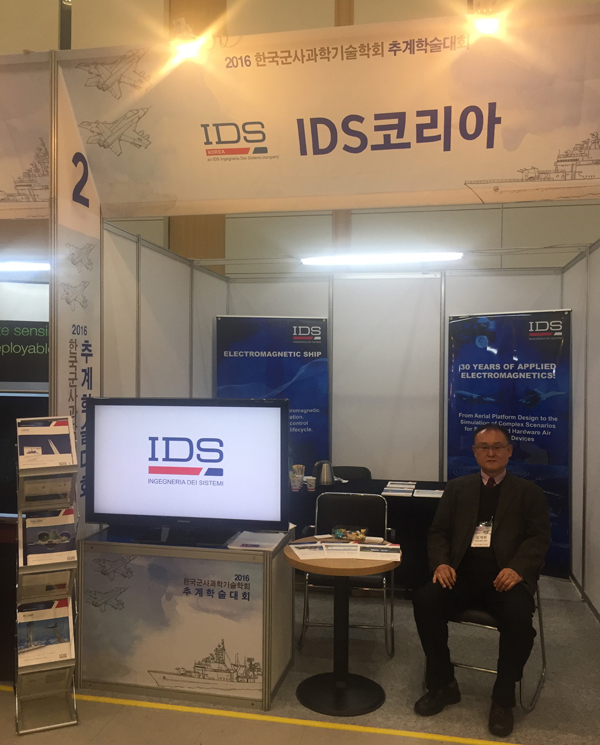 IDS Korea attended The Korea Institute of Military Science and Technology (KIMST) Conference which was held in Daejeon, Republic of Korea. At its booth IDS Korea exhibited brochures and media of the latest versions of IDS’s electromagnetic software tools (VIRAF, EMACS), and RCSMS (RCS Measurement System). The event was a great success for IDS Korea and attracted a large number of participants.